That is Dell’s message at RSA Conference and Dell was at RSA to prove it. We kicked-off the week with sponsor session titled: “Embrace innovation: Security as a business enabler,” six educational breakout sessions and multiple theatre presentations by our Dell Security executives and experts panelists. We also launched the new Dell Secure Mobile Access 6200 and 7200. In addition to threat intelligence, the conference highlighted the importance of a layered network security architecture that incorporates that intelligence to protect the enterprise. We wowed the crowds with Dell’s Massively Scalable Next-Gen Firewall Sandwich, which provides infinite, ultra high-performance deep packet inspection (DPI) and SSL inspection. We also demoed newly released Dell Secure Mobile Access solution which increases mobile and remote worker productivity, protects data from threats, integrates with industry leading mobile management solutions and provides the most secure end-to-end mobile management and security solution for managed devices. With the new SMA 11.2 release, the solution adds secure access to more resources using a standard HTML 5 browser, enabling intuitive access for most smartphones, tablets and laptop users. SMA also reduces reliance on troublesome Java and ActiveX components. In addition to existing support for HTML 5 browser access to RDP published applications and desktops, the release adds HTML 5 browser access to Citrix Xendesktop and Xenapps ICA support. The new SMA 6200 and 7200 appliances also offer increased scalability, with the SMA 6200 entry platform supporting up to 2,000 concurrent users, while the new SMA 7200 mid-range platform supports up to 10,000 concurrent users. 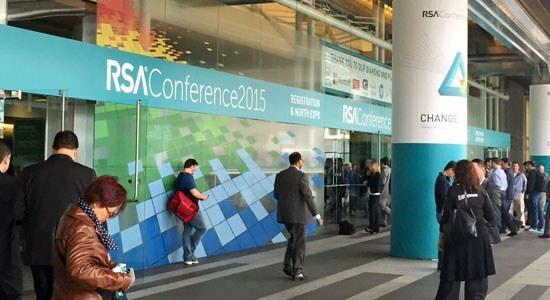 This year at RSA was the best I have attended in a decade. The highlight for me was to meet with our dedicated partners and customers who expressed their continued enthusiasm for our innovative network security, secure mobile access and email security solutions. The next-gen firewall is the heart-soul of the security architecture; we have demonstrated by combining Dell Networking switches and firewalls that we are better together. These achievements were recognized with Dell being presented with a plaque recognizing that the Dell SonicWALL SuperMassive E10800 earned a “recommended” rating from NSS Labs for the third time in their next-generation firewall category.